January 29, 2019 RHP Rafael Martin assigned to Mexico. January 10, 2019 RHP Rafael Martin transferred to Charros de Jalisco from Naranjeros de Hermosillo. October 12, 2018 RHP Rafael Martin assigned to Naranjeros de Hermosillo. March 27, 2018 RHP Rafael Martin assigned to Saraperos de Saltillo. January 14, 2018 RHP Rafael Martin assigned to Tigres del Licey. January 9, 2018 Rafael Martin loaned to Tomateros de Culiacan from Naranjeros de Hermosillo. November 28, 2017 RHP Rafael Martin assigned to Naranjeros de Hermosillo. November 6, 2017 RHP Rafael Martin elected free agency. June 9, 2017 Washington Nationals sent RHP Rafael Martin outright to Syracuse Chiefs. June 5, 2017 Washington Nationals designated RHP Rafael Martin for assignment. March 25, 2017 Washington Nationals optioned RHP Rafael Martin to Syracuse Chiefs. November 30, 2016 RHP Rafael Martin assigned to Naranjeros de Hermosillo. October 14, 2016 Rafael Martin roster status changed by Washington Nationals. October 7, 2016 Washington Nationals reassigned RHP Rafael Martin to the minor leagues. September 2, 2016 Washington Nationals recalled RHP Rafael Martin from Syracuse Chiefs. June 28, 2016 Washington Nationals optioned RHP Rafael Martin to Syracuse Chiefs. June 27, 2016 Washington Nationals recalled Rafael Martin from Syracuse Chiefs. March 28, 2016 Washington Nationals optioned RHP Rafael Martin to Syracuse Chiefs. December 4, 2015 RHP Rafael Martin assigned to Naranjeros de Hermosillo. September 2, 2015 Washington Nationals recalled Rafael Martin from Syracuse Chiefs. April 28, 2015 Washington Nationals optioned RHP Rafael Martin to Syracuse Chiefs. April 14, 2015 Washington Nationals selected the contract of Rafael Martin from Syracuse Chiefs. 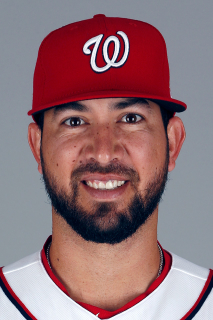 February 12, 2015 Washington Nationals invited non-roster RHP Rafael Martin to spring training. December 23, 2014 Naranjeros de Hermosillo placed RHP Rafael Martin on the reserve list. October 11, 2014 RHP Rafael Martin assigned to Naranjeros de Hermosillo. June 16, 2014 RHP Rafael Martin assigned to Syracuse Chiefs from Harrisburg Senators. May 12, 2014 RHP Rafael Martin assigned to Harrisburg Senators from Potomac Nationals. May 6, 2014 RHP Rafael Martin assigned to Potomac Nationals from Harrisburg Senators. April 3, 2014 RHP Rafael Martin assigned to Harrisburg Senators from Potomac Nationals. October 7, 2013 RHP Rafael Martin assigned to Venados de Mazatlan. July 8, 2013 RHP Rafael Martin assigned to Potomac Nationals from Harrisburg Senators. June 24, 2013 Harrisburg Senators sent RHP Rafael Martin on a rehab assignment to GCL Nationals. March 29, 2013 Rafael Martin roster status changed by Harrisburg Senators. July 9, 2012 Rafael Martin assigned to GCL Nationals from Harrisburg Senators. June 1, 2012 Rafael Martin suspended. May 31, 2012 RHP Rafael Martin assigned to Harrisburg Senators from Syracuse Chiefs. May 27, 2012 Rafael Martin roster status changed by Syracuse Chiefs. April 4, 2012 RHP Rafael Martin assigned to Syracuse Chiefs from Harrisburg Senators. December 31, 2011 RHP Rafael Martin transferred to Tomateros de Culiacan from Venados de Mazatlan. December 20, 2011 Washington Nationals invited non-roster RHP Rafael Martin to spring training. June 8, 2011 RHP Rafael Martin assigned to Harrisburg Senators from Potomac Nationals. August 21, 2010 Harrisburg Senators activated RHP Rafael Martin from the 7-day disabled list. August 8, 2010 Harrisburg Senators placed RHP Rafael Martin on the 7-day disabled list. April 2, 2010 RHP Rafael Martin assigned to Washington Nationals. February 17, 2010 Harrisburg Senators signed free agent RHP Rafael Martin. February 1, 2010 RHP Rafael Martin assigned to Mexico. November 1, 2009 RHP Rafael Martin elected free agency. October 6, 2009 Rafael Martin assigned to Venados de Mazatlan.